Home » News Makers » Its finally here - THE METRO! Its finally here - THE METRO! 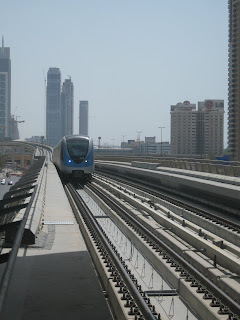 The Dubai Metro set out on its inaugural run on 9th September 2009 at exactly 09: 09: 09 p.m. The first travelers onboard were His Highness Sheikh Mohammad bin Rashid al Maktoum, Vice President of U.A.E. and Ruler of Dubai along with his guests and the winners of the Golden Ticket. The development of an automated public transit system has transformed the city into a metropolis, a feat short of none. Our excitement knew no bounds when we decided to ride the Metro. 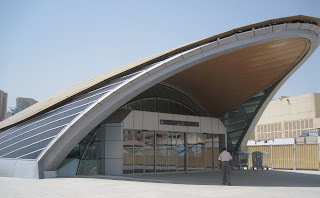 Our boarding point was the Union station in Deira and it was from here that we purchased our Silver NOL cards. The cards are reasonably priced which makes travelling through the metro quite economical. The station had several signboards which helped in guiding the travelers to their respective platforms and so we faced no difficulty in reaching ours. Walking through the turnstile and seeing the Metro arrive caused our hearts to skip a few beats. The train was quite full with enthusiastic commuters such as ourselves but we managed to find a place on the comfortable seats. We covered three stops, Khalid Bin Al Waleed, Al Jaffiliya and Mall of the Emirates in just 15 minutes! “The metro is a testimony to the success of the city we live in. 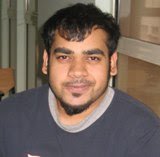 It will be a lot more convenient to move around the city from now on” - Muaz, BA Media & Communication. The memory of travelling through the Dubai Metro for the first time would always be special as it was a unique experience filled with bubbling zest. Though, the metro was crowded throughout the journey, as the excitement reduces, it will become one of the most convenient modes of transportation available to the public.